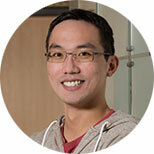 Chun-Wei Yuan is a Simulations and Forecasting Researcher at the Institute for Health Metrics and Evaluation. In this role he is responsible for designing and implementing simulation software to support research into the most effective use of resources in developing countries’ health systems. He works with researchers in public health, economics, and statistics to create a flexible simulation tool that incorporates a wide variety of data to both understand the current state of a health system and predict how it will respond to change.